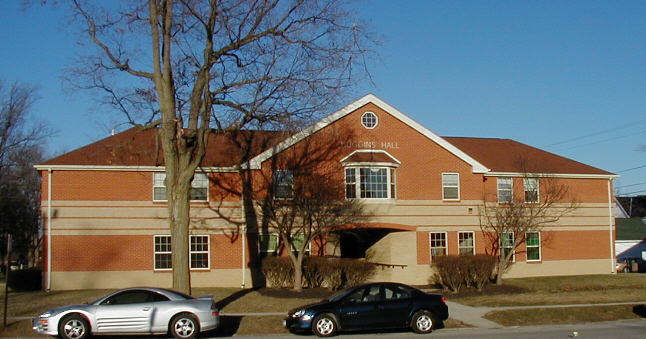 Alex attended Miami of Ohio last fall and transferred to Tiffin University for this Winter quarter. He's on the track team there and the first meet is at Findlay on Jan. 25th. Here's a shot of his dorm . As it turned out, the NCAA determined that Alex wasn't eligible for the indoor season, so he was red-shirted for that. But then just a few days before the outdoor track season started, the NCAA ruled that he is eligible for that. 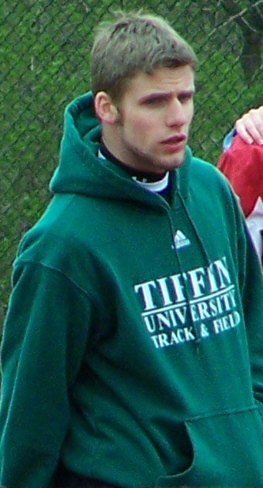 So he's been participating in at outdoor meets and as of this date (April 14, 2008) he has scored in all three meets. He's been doing pretty well in the 100 and not too bad in the pole vault. All the details are here.